Rivaling the evolution of feathers in dinosaurs, one of the most extraordinary transformations in the history of life was the evolution of baleen—rows of flexible hair-like plates that blue whales, humpbacks and other marine mammals use to filter relatively tiny prey from gulps of ocean water. The unusual structure enables the world's largest creatures to consume several tons of food each day, without ever chewing or biting. 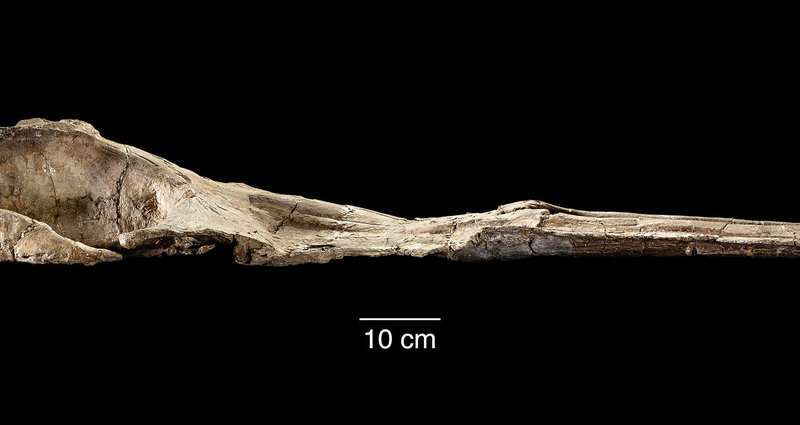 Now, Smithsonian scientists have discovered an important intermediary link in the evolution of this innovative feeding strategy: an ancient whale that had neither teeth nor baleen. "When we talk about whale evolution, textbooks tend to focus on the early stages, when whales went from land to sea," said National Museum of Natural History's curator of marine mammals. "Maiabalaena shows that the second phase of whale evolution is just as important for evolution over big scales. 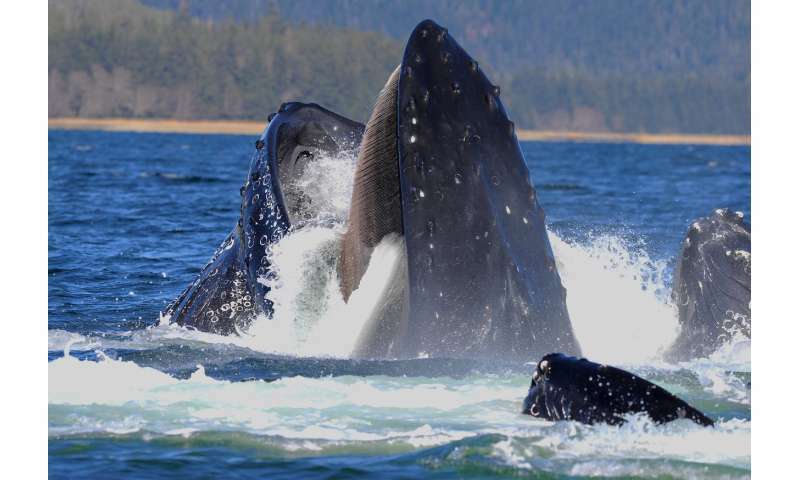 For the first time, we can now pin down the origin of filter-feeding, which is one of the major innovations in whale history." 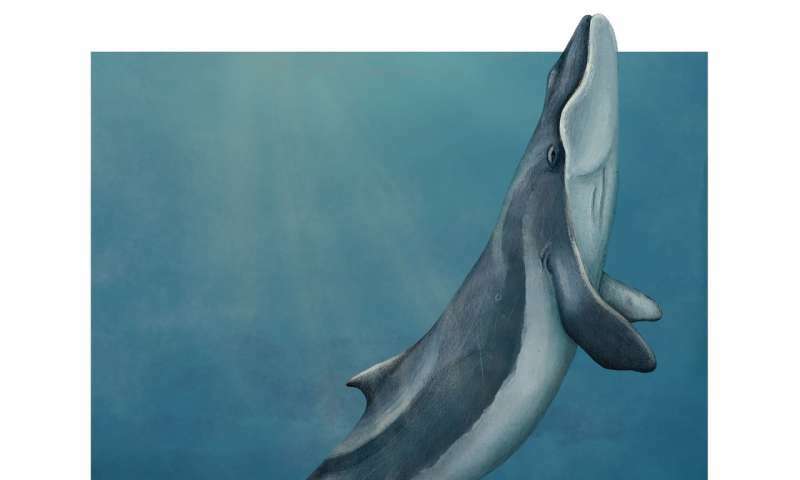 As a result, it has not been clear whether, as they evolved, early baleen whales retained the teeth of their ancestors until a filter-feeding system had been established. 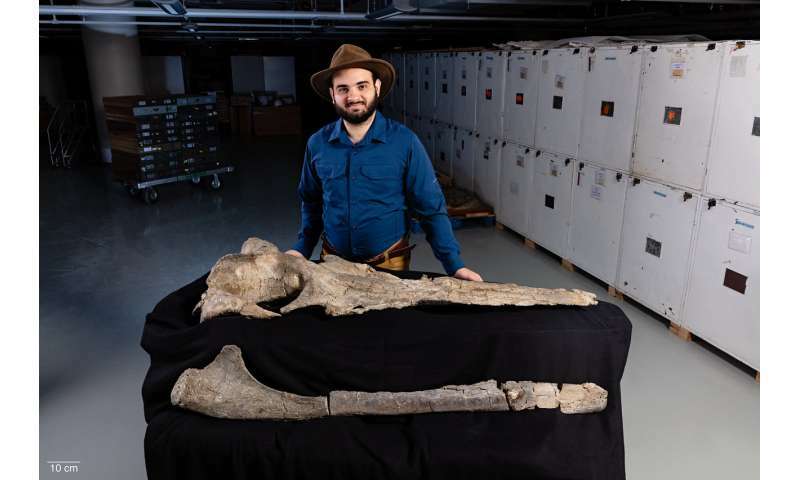 An early initial assumption, Peredo said, was that ocean-dwelling mammals must have needed teeth or baleen to eat—but several living whales contradict that idea. Sperm whales have teeth in their bottom jaw, but none on the top, so they cannot bite or chew. Narwhals' only teeth are their long tusks, which they do not use for feeding. And some species of beaked whales, despite being classified as toothed whales, have no teeth at all. "Given the scale and rate of changes in the ocean today, we don't exactly know what that will mean for all of the different species of filter-feeding whales," he said. "We know that they've changed in the past. It's just a matter of whether they can keep up with whatever the oceans are doing—and we're changing the oceans pretty quickly right now."